For some of us, speaking in front of a group of our colleagues or strangers is excruciating. We sweat, we squirm, we fidget, we panic, and we completely forget what we wanted to say. When you’re in the moment, it can seem like you’ll never have the skills and confidence necessary to deliver a presentation to your peers. But that’s simply not the case. There are plenty of people who thought they never would be able to, but they can, and they do, and they’re exceptional speakers now. And you can be too. What can you do to calm your pre-presentation nerves? Did you know that you talk to yourself? It’s true, we all do. Each of us has an inner voice that talks to us. For some of us, that voice is self-affirming, and it lets us know that we have the skills we need to succeed. For others, that voice is self-defeating, and it second-guesses our skills and accomplishments. If you are not blessed with a self-affirming inner voice, stifle it and cultivate a new one. Meditating or just using mindful breathing techniques can help calm your physical body, which, in turn, can help you keep your mind calm. True, you can’t meditate in the middle of your presentation, but if you spend the 15 minutes before your presentation breathing deeply and mentally preparing yourself, you’ll be in a much calmer physical state than you would otherwise have been. 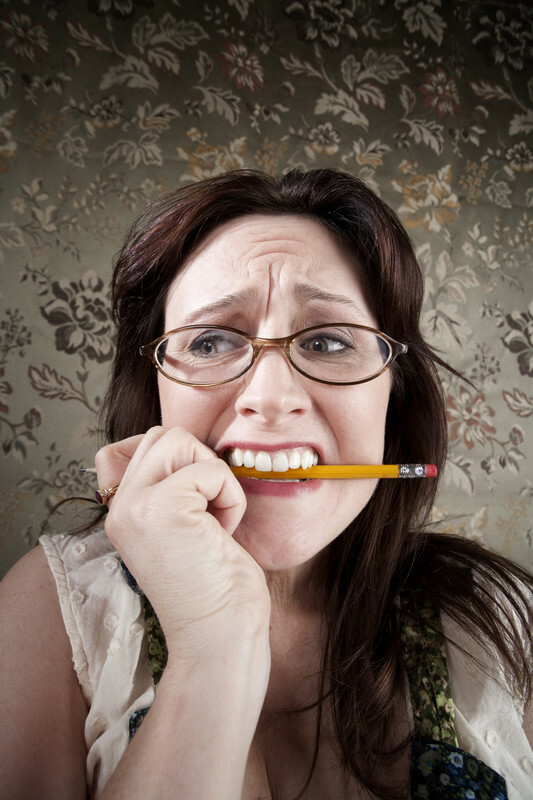 The best thing that you can do to calm your presentation jitters is to adequately prepare. Knowing your material and practicing it before your big day can go a long way in giving you the confidence you need to do well. We offer a terrific 2 day workshop called Think On Your Feet® that will give you dynamic structures to strategically position your message giving you the spit and polish your delivery deserves. Click here for more information.